The Hyundai Kona was unveiled to North America this week at the Los Angeles International Auto Show, and immediately it became one of most talked about vehicles in the city of angels. For starters, the new Hyundai Kona is a sport utility vehicle, and that means that it will immediately grab everyone’s attention given how popular sport utility vehicles are right now. But that’s not the only thing that allows the Hyundai Kona to stand out. The first thing you need to know about the Hyundai Kona is that it is built on a unique platform that uses a lot of high-strength steel. Why does that matter? Well, firstly no other subcompact SUV uses such advanced materials, and secondly the Kona’s platform will be much more rigid and a lot stiffer. That translates into improved performance, and improved safety as well. The next thing you want to know about the Hyundai Kona is that it will offer two engines. The first will by a 147-horsepower four-cylinder engine while the second will be a 1.6-liter turbocharged four-cylinder engine that delivers 175 horsepower and 195 pound-feet of torque. Just like its platform, the Hyundai Kona’s turbocharged engine will give it a net advantage over the competition. 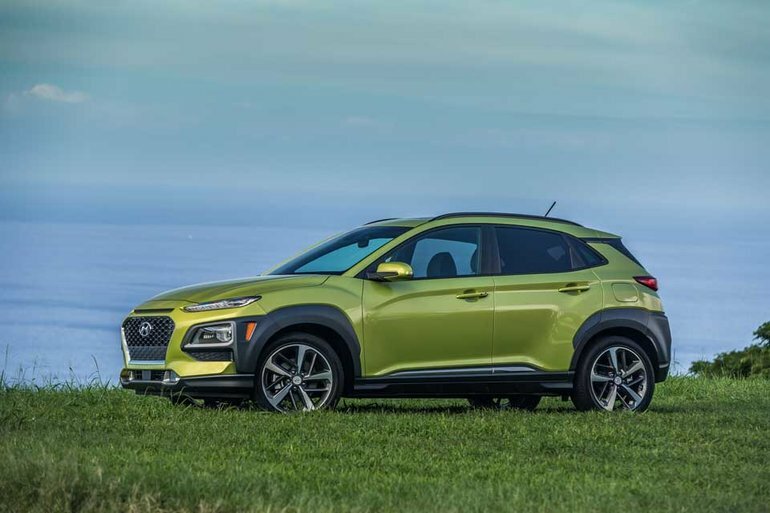 To learn more about the new Hyundai Kona, contact us today at Bruce Hyundai!